Google Stadia could make game demos popular again, but will early access pay the price? 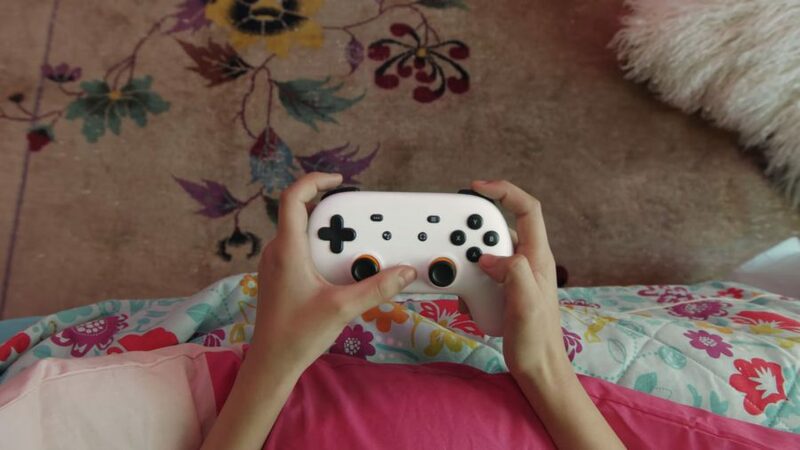 Google unveiled new game streaming platform Stadia earlier today, and it’s hard not to feel wrongfooted by what was showcased. We’ve been promised incredible streaming services before, of course, but none have quite lived up to the concept’s potential. Google’s offering, then – capable of streaming games at 4K HDR quality and 60 FPS on any device with just a screen and a high-speed internet connection – is astounding. The technology has the potential to change gaming in a number of ways, one of which might be to bring a relic of the past back to the forefront: game demos. During the ‘90s, demo discs were enough of a driving force that they convinced people to purchase a special pizza deal or a magazine to get a taste of new games. Their relevance has diminished over time as gaming shifted to digital distribution and the games themselves increased in size. After all, how many people want to spend an hour or two downloading a demo just to play 15 minutes of the latest triple-A title? The model simply stopped making sense for developers and players alike. Stadia may give publishers a new reason to create demos, however. Not only does it eliminate the issue of having to download a large file just to get a sliver of the experience, but accessing a demo will now be as easy as clicking a link on a YouTube video. If a demo is available, you just pause the vid and immediately check it out. This elimination of barriers is at the heart of Stadia’s design and, if Google really can pull it all off, threatens to shake up the gaming landscape significantly. If Stadia finds a foothold, and publishers decide to make demos a mainstay again because of it, marketing a game may look very different. Better still, it could allow players to experience a wider breadth of titles than ever before. This, in turn, could potentially make for a more diverse gaming landscape. Not all of the possible ramifications of such a shift are positive, however. With the ability to check out a wide range of highly polished titles, the appeal of early access games may diminish. While janky systems and a lack of polish have become a charming part of all of our lives, even enthusiastic players may be less ready to commit money to unfinished projects in a landscape that provided such convenient access to pre-release content. Indie and more experimental titles might be the ultimate benefactor of such an opportunity. After all, these games often have a difficult time getting players to part with their money in order to check out what is essentially an unknown quantity to them. But if you can spend a few minutes sampling a quirky title without having to wait or pay? Well, that’s a different story. Demos for these titles could even go viral thanks to Stadia’s social networking features. Stadia is set to make a substantial impact when it launches later this year, and developers are already thinking about how to best take advantage of the unique streaming technology. We’ll have to wait to see just how much will change once the tech becomes available to consumers, but don’t be surprised if some elements from the past become relevant once again. Demos were a gaming mainstay for a long time for good reason, and Stadia’s instant streaming technology could well make them important once again.